ICF PCC (Professional Certified Coach, on MCC track), CTI CPCC (Certified Professional Co-Active Coach) APEC I-BIZ CBC (Certified Business Counsellor), Organizational and Relationship Systems Coaching, Posi-TRAK Living Systems Team Coaching, Core Dynamics Coaching, Associate Certificate Media Resources, Mindfulness Trainer, Assessment Qualifications: SDI; Strong Interest; TKI. Lynne joined Synergy Global in 2015, building on a successful career as a Business Coach in the USA/Canada. She gained leadership skills as Program Coordinator in Post-Secondary Education at the British Columbia Institute of Technology responsible for the operation and growth of a Self-Employment Program delivered for Services Canada. Inspired to directly guide new business owners she became a Business Coach & Instructor for SUCCESS and the Pacific Community Resources Society Self Employment Programs. In 2014 Lynne was recognised as a Finalist for the Business Coach of the Year Award by the ICF Vancouver, BC Chapter for a decade of work in Self Employment Programs. 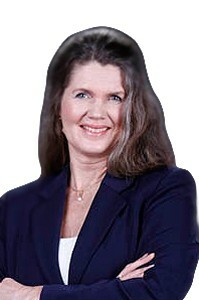 Lynne founded Living in Vision Enterprises Inc. in 2004 offering private leadership, career & business coaching. In addition, contract facilitation & coaching services were provided for a variety of other orgs & programs including Self-Employment & Career Exploration; The Minerva Foundation’s Helping Women Work Program; & the Women’s Enterprise Centre of BC. Her coaching approach is validating/ affirming at the same time as it focuses on identifying underlying thoughts and beliefs which impact individual behaviour & choice. An empathetic approach to communication is fostered, along with ownership of personal power & establishing personal boundaries. Achieving clarity of vision & planning a strategic path to accomplishing it, are also key, as is accountability for learning & action. As a result, her clients become more empowered, confident, self-determining & resilient. Lynne also worked in media as a freelance production coordinator, producing public & internal communications for large health, education & insurance organisations, as well as government agencies. Here she has gained project management & interpersonal skills working alongside senior public relations personnel plus a range of creative talent. She now focuses on developing emerging leaders with an emphasis on engaging their teams in a collaborative framework, building communications skills, affirming talent & enhancing performance.